It’s always a good day when you can purchase reliable hardware from reputable manufacturers with a discount applied. And that is exactly what we are offering here with a reduction on this NETGEAR CM500 DOCSIS 3.0 cable modem. Most households around the world will subscribe to an internet service through a local or national Internet Service Provider (ISP) and will be given the necessary hardware as part of that package to bring internet into the property. For a lot of people, this is a perfectly adequate situation and one that suits the situation and doesn’t require any thought or technical insight or overview. However, for others, the hardware provided by the ISP simply isn’t good enough, doesn’t meet demands, and can often come with a recurring rental fee that is payable each month. Those are the kind of issues that lead home-owners to simply go solo and purchase hardware of this nature that will replace their ISP-issued modem and give them the extra power and control that they need. This offering by NETGEAR was given the award of being the “best cable modem” by Wirecutter and is capable of supporting “Cable Internet Service” plans up to 200Mbps. This particular version of the modem also offers greater support for downloads and will give up to 16x faster download speeds over NETGEAR’s previous version of the hardware. It’s also important to note that the $44.99 initial outlay could end up saving some people $120 per annum in rental fees. An investment which pays for itself. 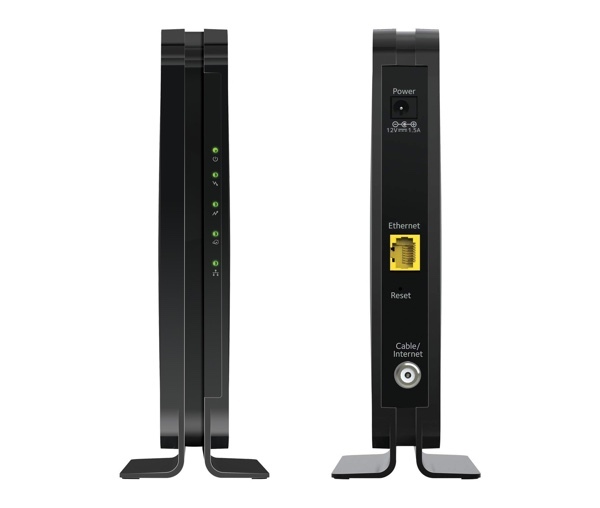 To further define its worth and worthiness of investment, the NETGEAR CM500 offers channel bonding for better and faster data transfer supporting 16×4 downstream channels, compatibility with a huge array of ISPs, universal compatibility with existing routers, and an easy setup process which shouldn’t cause any frustrations, anger, or tantrums. For some people, this hardware may not be worth the investment if the IPS-provided gear sees them through, However, for a lot of people, this deal will be simply too good to turn down. Make sure to use the additional $10 coupon link that’s on the page to lock in the maximum discount possible.